The perfect mix of insight and humor! This year we will be tracking each of our writers’ performances in our 94 person One And Done (OAD) pool. For those of you who do not know what a OAD pool is, it is a season long contest in which you select one golfer per week with the golfer’s earned money that week adding to your season total. Once you select a golfer, you cannot use him the rest of the year (so, no, you cannot pick DJ or Tiger every week). -Mike and Sean make some massive moves with each securing a Top 5. -77K is never awful in a full field event, but I’m sure Kevin feels slightly disappointed after Webb opened 67-69. -A 73 on Saturday for Horsh killed any chances of big money for Frank and Sam. -Course horse Phil looked the part Thursday for Jack and Tony with a 68. Unfortunately he very much so did not look the part on Friday with a 75. Mike made a big push to 3rd, while Sean gets himself out of the cellar. Someone here picks the winner this week. I can feel it. Jake Mulholland: Chez Reavie — Weather is king this week at the AT&T Pebble Beach Pro-Am & consequently the 156 man field will be tested by the uncontrollable conditions Friday afternoon and Saturday. Chez is my OAD for a few reasons: 1) he possesses the power to grind through the weekend as demonstrated at the WMPO. This past Sunday, Chez fired off a (-3) 68 for a T4 finish. Through the rain, wind, and chaos that was clouding the top of the leader-board, Chez prevailed. 2) The stats are there: ranks 7th in Driving Accuracy, 39th in GIR, 14th in SG:BS, a T2 in 2018, & his impeccable form. 3) Course rotation, advantage Reavie: starting at the Monterey Peninsula he should fire off a (-4) or better in the Thursday conditions, dodge the abysmal rain conditions Friday morning with an early tee time @ Spyglass Hill (8:33 AM) and finish his third round 10-12 under at Pebble Beach. A title run is in the cards for Chez this weekend. Tony Kasper: Kevin Streelman — After yet another missed cut, I’m turning to someone I trust. Streelman knows the course well, having finished 6th last year to give him a third consecutive Top 20 at this event. It would not shock me to see Kevin and Larry Fitzgerald (who recently scored an ace while playing with former President Obama) repeat as the lowest scoring Pro-Am pair this weekend. Mike McNamara: Tony Finau — Felt destined for my 3rd career victory at the 36 hole mark last week, but JT couldn’t quite get it going on the weekend. How do I respond? By trotting out the Hawaiian bomber who should have a field day on the reachable par 5’s these courses offer. The MC in Phoenix will scare off many, leading to another good value play. It’s Tony’s time. Jack Corrigan: Paul Casey — Paul does not have a large history at this tournament being that 2018 was his only start (he did finish in 8th). I believe this tournament is prime for Paul with him being an unbelievable ball striker and wind player. Recently, he has 6 Top 20s in his last 7 events. I believe this week he contends once again on the most beautiful course in the world. Frank Laterza: Jason Day — Whenever I pull him out, I cringe. But this tournament, with the 8 hour rounds and no shot tracker, plays perfectly for him and me. He can shimmy-shake while “visualizing” for 2 minutes, and I don’t have to see him miss every SINGLE fairway. It’s love! But seriously, Day finished 2nd here last year to … *checks notes* … Ted Potter Jr. and had a T5 the year before. The putter is hot at the moment – knock on all the wood – and he’s always great around the greens, which helps this week being that these are the smallest greens on tour. In great form coming off a T5 at the Farmers, I don’t think he’ll be as chalky as you may want to think. Come on, Mate! Bear: Dustin Johnson — With DJ, I am clearly hunting a win here. It’s early in the year, but I feel it is time for me to make a move. I think it’s possible for there to be slight value on DJ here with people saving him for bigger events. And if not, I’d rather be a part of the 15% in the group that picks the winner than not be on the winner at all. Kevin Walsh: Phil “The Thrill” Mickelson — Much has been made of Phil’s MC last week, but I honestly think it could help him this week. Extra rest is never bad for a 48 year old, and Phil will be even more motivated to play well at a course he certainly has an affinity for. The all-time earnings leader and 4 time champ is hungry for another W, and I’m not sure there’s many better venues for him than Pebble. Didn’t overthink it this week, and I’m hoping to keep the momentum rolling. The weather forecast scares me a bit with Phil and his naturally spazzy tendencies, but it’s a risk I’m willing to take. He’s still as entertaining as ever, and for one week I will be on Mike’s side and all in on Phil. Go low then Philly! Sean Carney: Jordan Spieth — Going to be playing on the sidewalk with some chalk this week, but all signs are pointing to a rebound. I think Spieth will be playing desperate, but also comfortable at an event he’s won before. Look for him to be pin hunting with some anticipated wet conditions this week. Sam Scherman: Russell Knox — Coming off his 5th straight made cut, I like him to contend in what could be a rainy and windy Pro-Am. Knox quietly finished T10 at the Waste Management last week and is ranked in the top 20 of SG: Approach this week, the absolute key stat for success at Pebble/Monterey/Spyglass. As for winning trends, since 2000, each winner had a T16 or better in one, or both, of their previous starts here (Knox finished 15th last year) and 5 of the last 8 winners recorded a Top 10 or better in one of their previous 2 starts for the season (Knox was T10 last week). This event has some random winners, and I love Knox here to capture his first win on TOUR since the 2016 Travelers, especially if we get some heavy winds and rain. Episode 31 is in the bio! 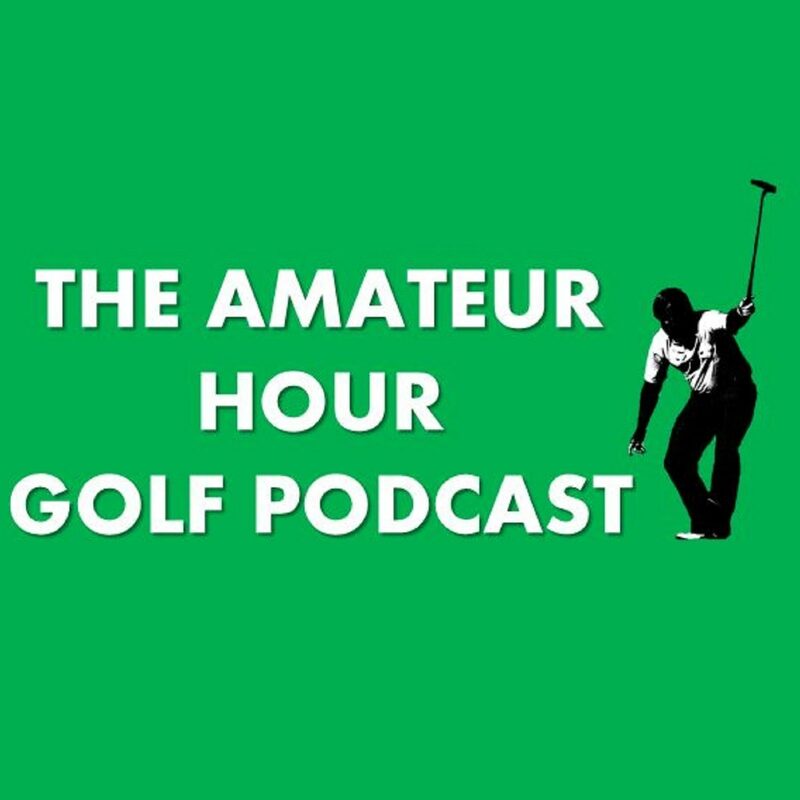 Kramer Hickok joins us to talk about his rookie season on the PGA Tour this year! We also touch on his days at Texas and a spring football game in high school that pushed him to focus entirely on golf. Check it out!